Kaphas generally have moist, cool skin that may retain water. 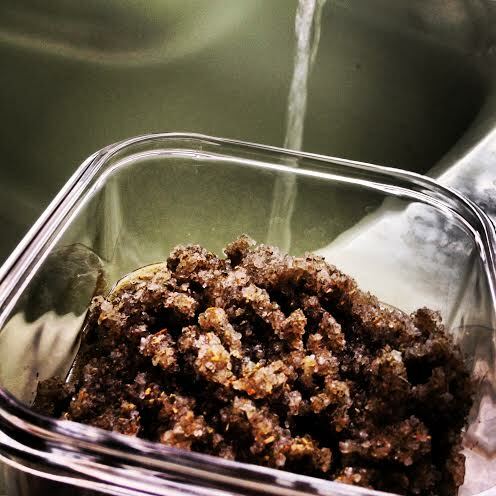 We want to shake things up and get kapha energized, this scrub will use sea salt as an exfoliant. Tulsi promotes lightness in the body which will help to balance kapha’s heavy quality. Lemon essential oil is also light and uplifting. Rosemary and sage are stimulating herbs and help with congestion of the lungs and sinuses. This scrub is light on the oil, since kapha is already oily enough. 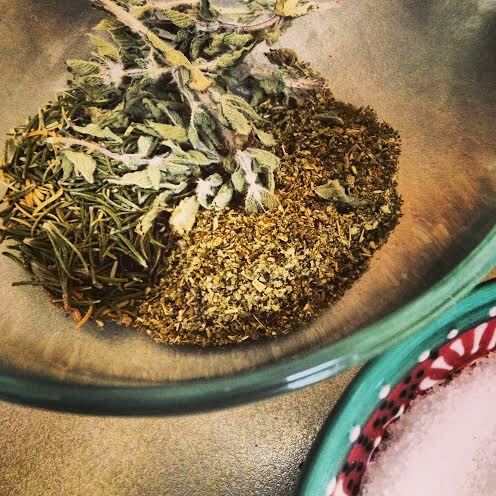 In a spice grinder or food processor, blend the dried herbs into a fine powder. 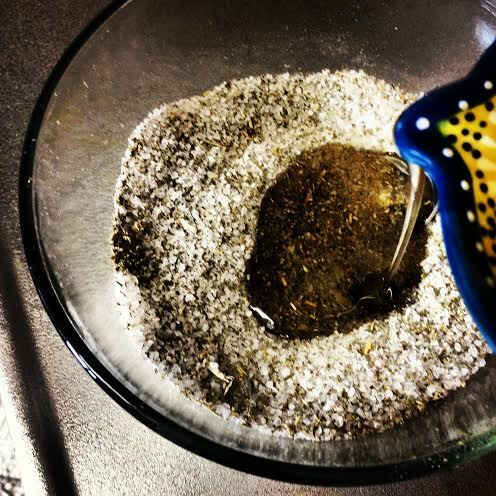 Combine the herbs with the salt and add the safflower oil. Mix well and add the essential oil. Store in an air-tight jar for up to 3 months. Looking for a vata scrub? Click here. For a pitta scrub, click here. 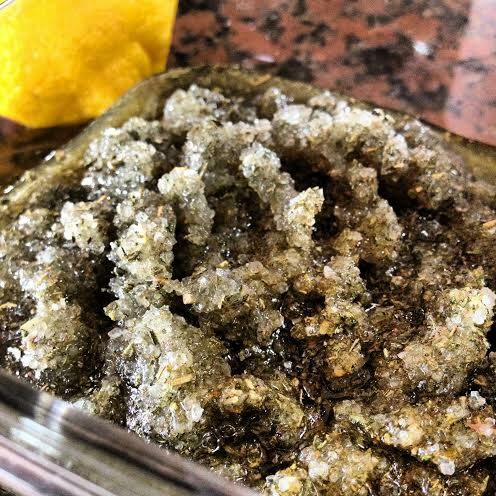 This entry was posted in Ayurveda, Home & Health and tagged ayurvedic body scrub, diy body scrub, kapha body scrub. Ah! Thanks Kelly, I’ve been waiting for this! So excited to try it…but what is tulsi and where do you get it on island???? Is there a good substitute if it’s not available? Let us know, thanks! Tulsi is also known as holy basil. I grow it here, but you can order some through https://www.mountainroseherbs.com/?AID=130037. There are three types of holy basil. My favorite is krishna tulsi (holy basil). I don’t know that I’ve seen it on island, but I’ll update if I find it.